The passion for the kitchen contaminates not only housewives, but also professionals who find in cooking moments of satisfaction and relax. Today, the consumer is always more attentive and competent about the quality of the products and their health. These are the reasons that led us to open the first Factory Store inside our mill; a space where we can tell through our photographic exhibition our long history starting from 1882 (the first Italian mill from power) to the present day. A place to welcome the consumer by offering our most innovative flours; from the biologics to flours of the line flavor and health that contain wheat germ, to the flour with the highest salutistic levels of the INTERA line; a technology that allows to produce flour with a 50% reduced glycemic impact with a high digestibility. We wanted to create an interactive environment where the customer could share his experiences with us by putting his personal recipe on our board to share it. 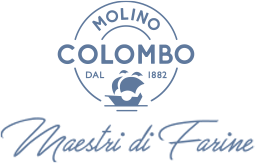 But our philosophy has brought us not only to produce flours that combine tradition with innovation, but the ambition of helping consumers in the art of transforming our flour into pizza, bread or fantastic sweets. For this reason is born l‘Accademia della Farina 1882, our showroom where you can find Chef, Maestri Pizzaioli, Pasticceri and Panettieri intent in training activity for stimulate and excite our consumers through their proposals.